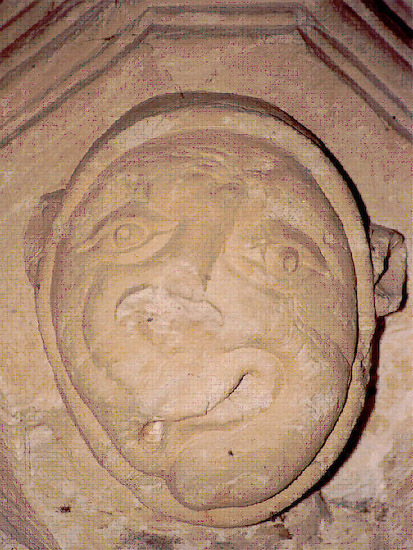 Whilst this cannot be in any way considered to be a Green Man this distorted face bears quite a resemblance to the first Green Man described earlier. Like the carvings in Rosslyn Chapel this is a crude example of the sculpture’s art. That said it does display a certain charm and may be taken from life as it is known that masons often used as models people they knew or had observed. It might also indicate that the same mason carved both. It has been suggested that the twisted features might indicate a birth defect but the subject, if taken from life, may well have suffered from Leprosy.